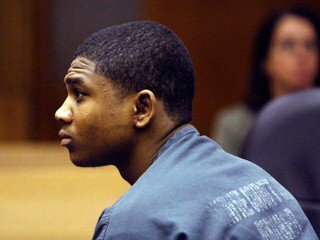 Shortly after Davontae was sentenced to 37 to 90 years in prison in 2008, Vincent Smothers, now 28, of Shelby Township, confessed to the Detroit police on videotape that he and a different man committed the murders as part of a series of drug-related hits. Highly placed members of the police department have testified they believe Davontae is innocent, including a former chief of homicide who says Davontae was with him at the time of the murders. 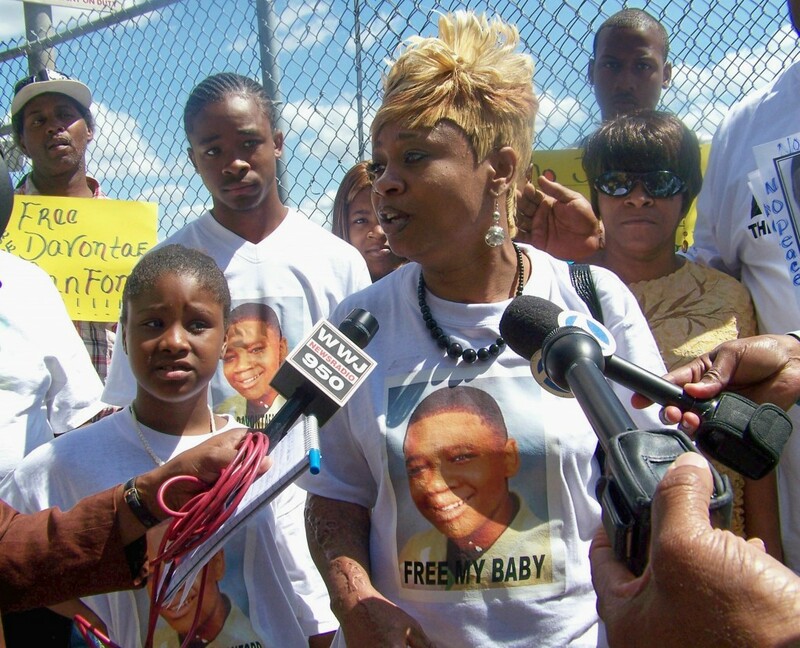 Davontae is her first son, the second oldest of five children, and she along with his stepfather and siblings have waged a relentless campaign since his arrest to free him, garnering broad-ranging support. Davontae has 1249 Facebook supporters from all over the world, including the United Kingdom and Sweden. He has support from media personalities like Bill Proctor of Detroit’s Channel 7, who runs his own Innocence Project. 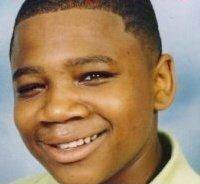 His case has received extensive and generally sympathetic coverage from the Associated Press and Detroit’s daily media. Elish Delaporter of the UK is following his case on her MySpace website, part of her campaign against this country’s exclusive practice of sentencing juveniles to life in prison without parole. That policy is expressly condemned by the UN Commission on the Rights of the Child. During the most recent hearing Jan. 14, in front of Davontae’s trial judge Wayne County Circuit Court Judge Brian Sullivan, Assistant Prosecutor Joseph Puleo once again ignored another of McGinnis’ requests that the prosecution grant “use” immunity to Smothers. That would allow him to testify in court about his role in the murders without fear of having the prosecution use his testimony to charge him in the cases. Puleo said he is worried about Smothers’ constitutional rights, because he could face life without parole if he admits to the killings. Smothers is already serving 50-100 years in maximum security on nine counts of second-degree murder and three counts of assault with intent to commit murder, along with various felony charges, stemming from other cases in which he testified he was a hit man for a drug ring. McGinnis called the plea deal for such a number of hit killings “virtually unheard of,” and Proctor called it “the deal of the century” in news coverage of the sentencing on July 23 of this year. 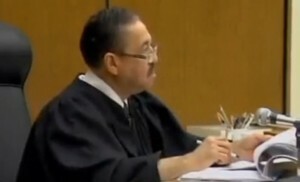 A You Tube videotape of portions of the sentencing, along with others related to the Smothers cases, can be viewed at http://wn.com/%22vincent_smothers%22. Smothers is now contending that his confessions in the cases for which he was convicted were coerced, and has appealed. Among his contentions is that the police threatened to charge his wife if he did not confess. He is represented by Attorney Mitchell Foster, also of the State Appellate Defenders’ Office. The prosecutor’s office does not appear so concerned about Davontae’s constitutional rights. 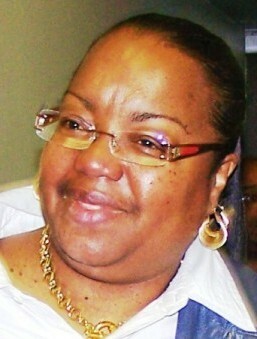 McGinnis said that during the child’s questioning by police, neither his mother nor an attorney was present. Davontae signed and initialed a typewritten document drawn up by a detective, despite being blind in one eye, and according to McGinnis, reading at a third-grade level. There is no videotaped record of the confession except one in which the detective reads the confession back to him. The victims in the killing were “Michael Robinson, 33; D’Angelo McNoriell and Brian Dixon, who were in their early 20s, and Nicole Chapman, 25. 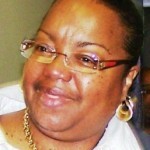 Valerie Glover, 30, was critically wounded but survived the attack. 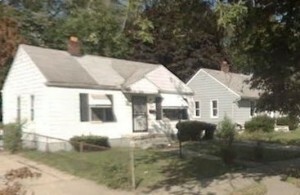 A 7-year-old boy was found unharmed.” according to published reports. In his confession Davontae claimed he committed the killings with a different weapon, an M-14, than the ones used in the killings, an AK 47 and a .45 caliber pistol, according to McGinnis. “Those are the weapons that Vincent Smothers uses, and the whole crime is his exact MO,” McGinnis said in published remarks. 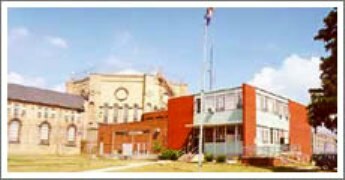 Ballistics evidence, delayed due to the shutdown of the Detroit police crime lab two years ago, is still to be introduced in upcoming evidentiary hearings. Three accomplices are also identified in Davontae’s confession, but they were never charged, leaving a question as to how one child could kill four people in an alleged drug house. Detroit’s retired chief of homicide, Commander William Rice, who spent 25 years on the force, was dating Davontae’s great-aunt Cheryl Sanford at the time of the Runyon Street killings. Rice testified Oct. 28, 2009 that he was with Davontae at her house at the time of the murders, from 8 p.m. to 11:45 p.m., and that he left to take another man home to Mt. Clemens and then take Davontae home. How much training does a cell tower forensics expert need? 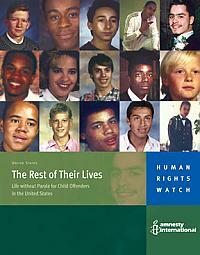 But during the November hearing, Assistant Appeals Prosecutor Patrick Muscat challenged Rice’s testimony. A Detroit police investigator, Arthur Wimmer, testified. He said he is assigned to the Violent Crimes Task Force composed of the DPD, the FBI, the Drug Enforcement Administration (DEA), Alcohol, Tobacco and Firearms (ATF), the MDOC, the Wayne County Sheriff’s Office, and other agencies at all levels. Wimmer said he had 120 hours (three weeks) of specialized training in cell tower forensics conducted by the FBI and private corporations, and was allowed to testify as an expert witness. Michigan currently has no licensing process for such experts. Wimmer claimed Rice’s cell phone records showed he was in Mt. Clemens, a city about 30 miles east of Detroit, at 11:18 p.m. the night of the murders. 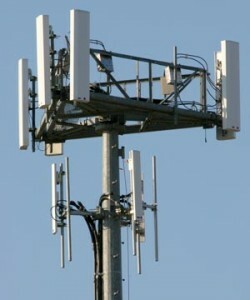 McGinnis challenged cell tower testimony as sometimes inaccurate. She said later that the testimony may have shown that Rice was off base in his exact estimates of time, but did not discount Davontae’s presence with his family for most of the time prior to the killings. “He would not have had time to prepare, or to hook up with Smothers and get to the site to commit the murders,” McGinnis said. A Department of Corrections official also testified about alleged “gang” materials and graffiti found in a search of Davontae’s cell in the Thumb Correctional Facility. The official claimed scars on Davontae’s arms were remnants of gang tattoos. “Anything that happened after the night of the murders is not relevant,” McGinnis objected. But Judge Sullivan allowed the testimony to go on record. In addition to Rice, Detroit Police Department investigators Gerald Williams and Ira Todd, who helped take Smothers’ confession, have testified that Smothers admitted to the Runyon Street killings and stated that Davontae was not involved. 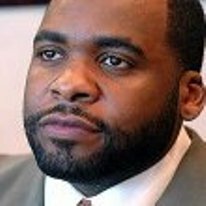 Todd, who was also a member of the Violent Crimes Task Force, has filed a whistleblower lawsuit against Detroit’s former Mayor Kwame Kilpatrick. In the lawsuit, Todd claims he was removed from the Task force, demoted and otherwise mistreated because his investigation into the Smothers’ killings led him to Smothers’ alleged accomplice, Ernest Davis, and to Davis’ cousin James Davis of Kentucky. Todd said James Davis claimed to have a “business relationship” with Kilpatrick, and that when he reported that, his investigation was shut down and he was transferred. Neither AP’s Muscat nor Puleo would comment outside of court on the case. Just prior to Smothers’ sentencing, the jail was locked down after guards discovered that he had been able to obtain a cell phone while locked up. Taminko Sanford says she believes that may indicate he had connections with law enforcement officials. 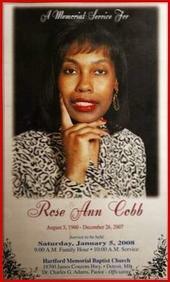 One of the people Smothers confessed to killing was Rose Cobb, wife of Detroit police sergeant David Cobb. Smothers said Cobb hired her to kill his wife outside a CVS pharmacy on E. Jefferson near their home, as she waited in the car while her husband was in the store. Although the police department arrested Cobb, Worthy never charged him in the murder. Cobb was later found hanging from a tree, an apparent suicide. Miller did not respond to a question regarding whether Smothers may have been a hit man for corrupt police officers. During the hearing Nov. 23, Davontae appeared polite and happy to see his mother and other family members, but there was an air of quiet desperation about him. Sanford said Jan. 12 that she was very worried about Davontae because she had not heard from him for two weeks. He was recently transferred from Michigan’s Thumb Correctional Facility, which houses a large number of younger prisoners, to the Michigan Reformatory at Ionia, with Level Four prisoners over the age of 17. 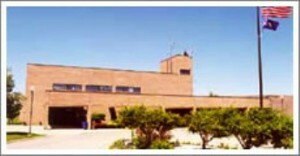 In Michigan’s prisons, Level Five is the maximum security grade. 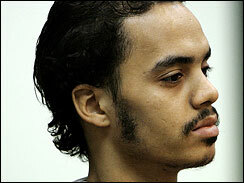 Davontae’s next court hearing is tentatively set for January 28, 2010 at the Frank Murphy Hall of Justice in Detroit. Davontae’s Facebook Page is Free Davontae Sanford at http://www.facebook.com/#!/group.php?gid=108713425818908. 6 Responses to FREE DAVONTAE SANFORD!